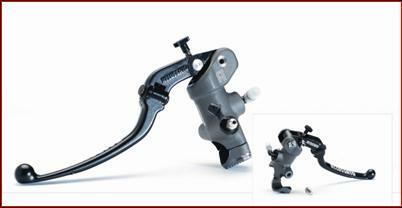 Accossato master cylinders use forged aluminum construction for strength and light weight. 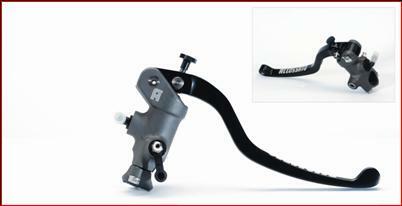 Allows the rider to adjust the brake lever position with the touch of a button! No need to take your hand off the grip. 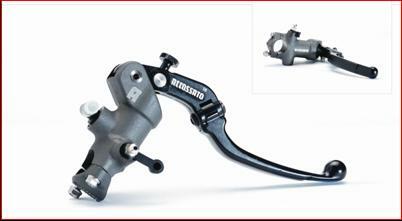 Patented PRS system allows you to move through 3 different settings with the same master cylinder. 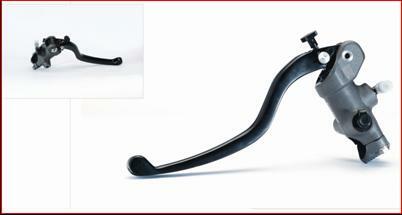 For use with single front caliper/disk applications.